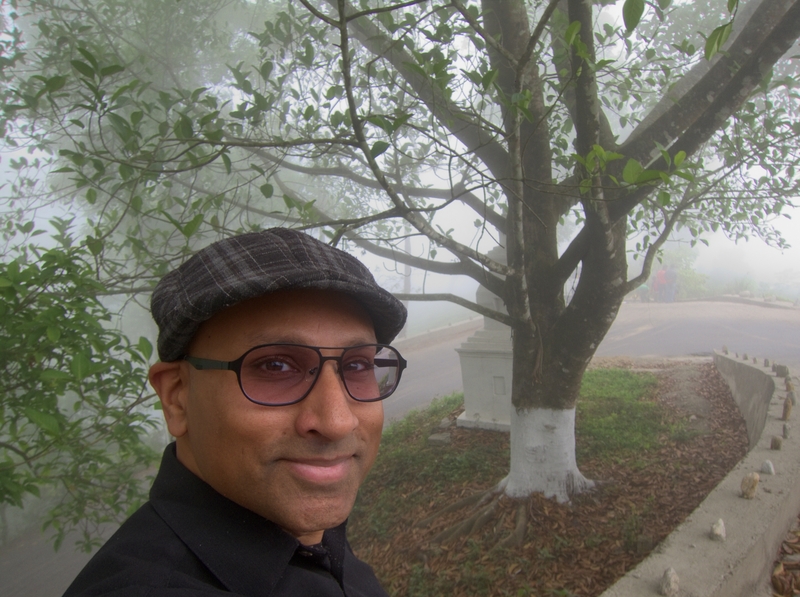 After the Darjeeling Himalayan Railway left me at Kurseong, I made my way to the Makaibari Tea Estate, where I spent two days with a family of tea workers. My hostess, Pushpa, is one of several women participating in Makaibari’s home stay program, initiated by its charismatic and progressive owner, Rajah Banerjee. The program helps generate additional income for the tea communities while providing to the tourist a unique perspective on tea garden life. Leaves withering after being plucked. 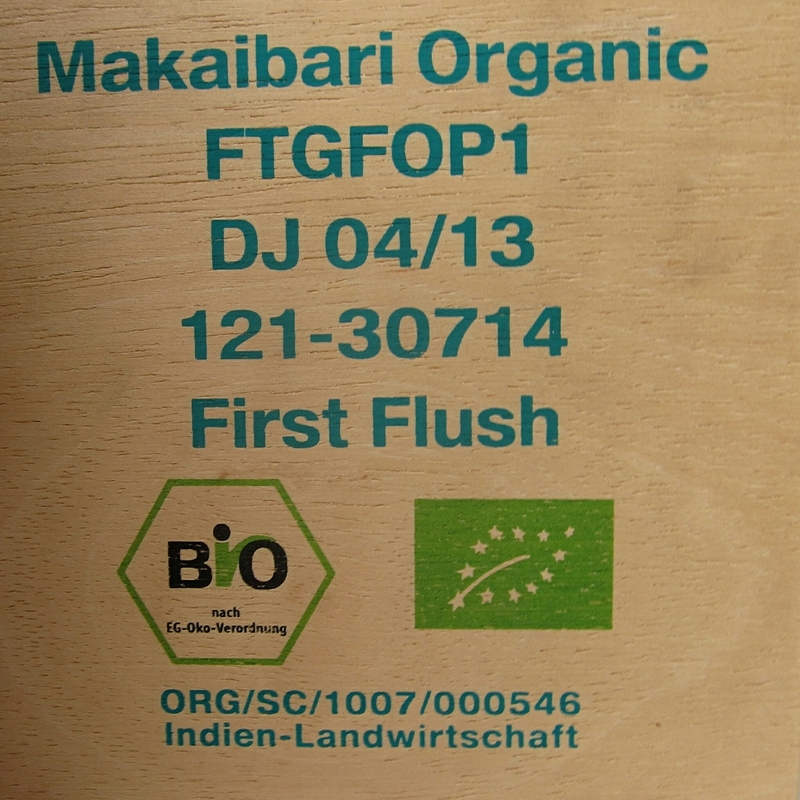 Makaibari has Organic and Biodynamic certifications. 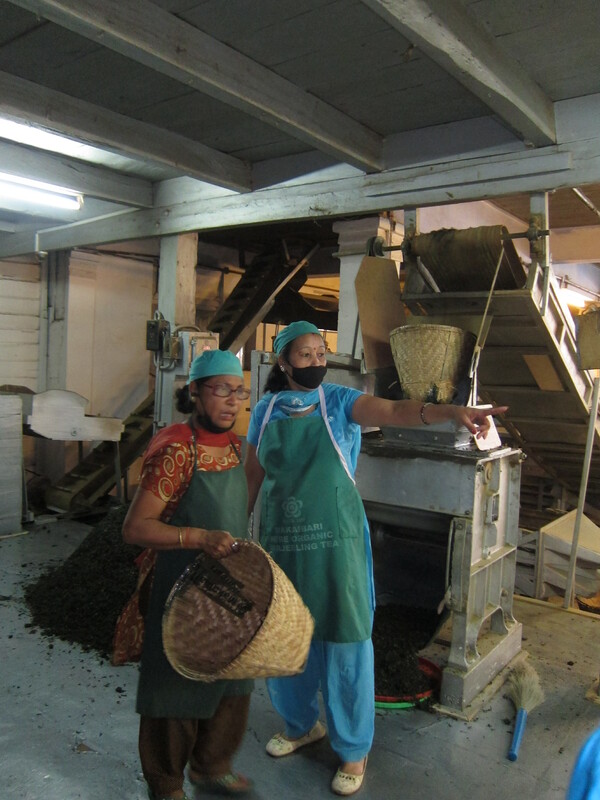 Ladies working hard to make our tea. The day after I arrived, I went to the factory gates at 8 a.m., as I had been directed, to have a tour. There I met several other travelers, members of a tour group headed by Raj Vable of Young Mountain Tea. 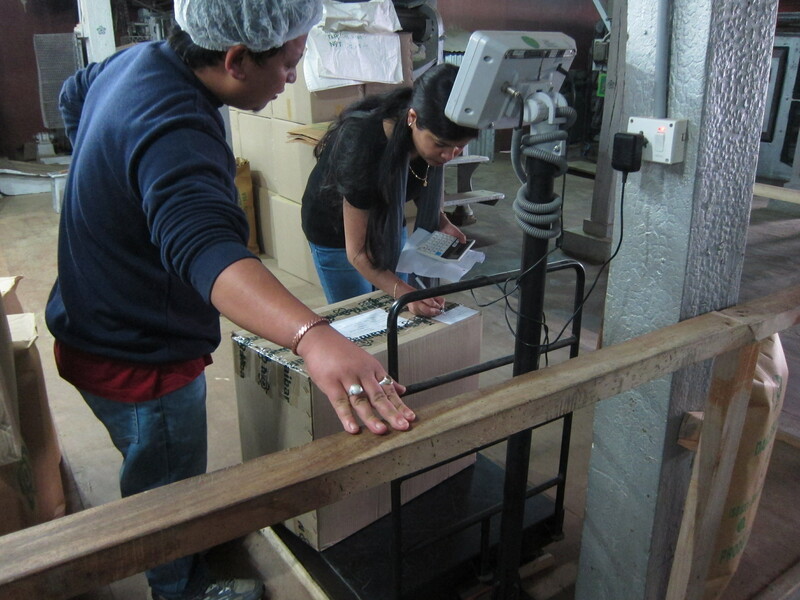 Pranay, a third generation Makaibari tea worker, gave us a tour of the tea factory. Then, to my surprise, Mr. Banerjee showed up at the end of the tour and invited us upstairs for a tea tasting session. 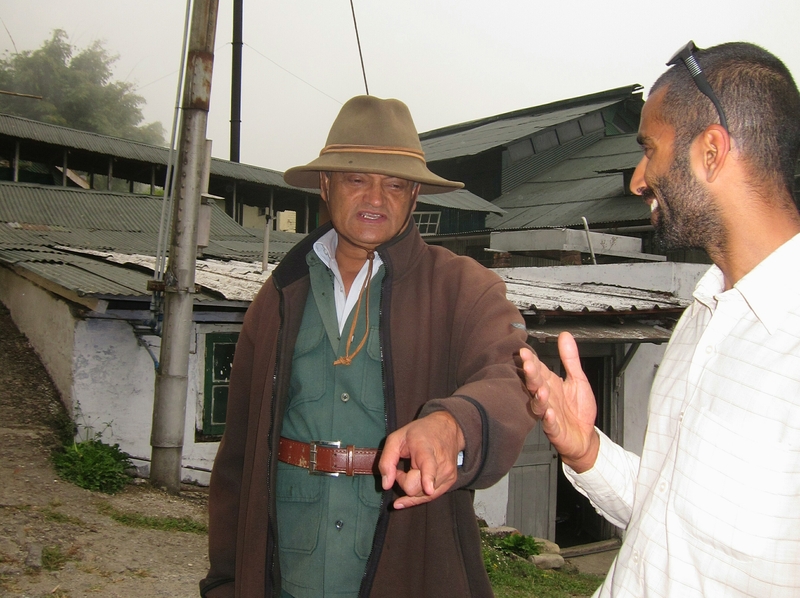 Rajah Banerjee chatting with Raj Vable, Founder of Young Mountain Tea. Later I met some of the tea pluckers in the tea fields, as Pranay guided me around. 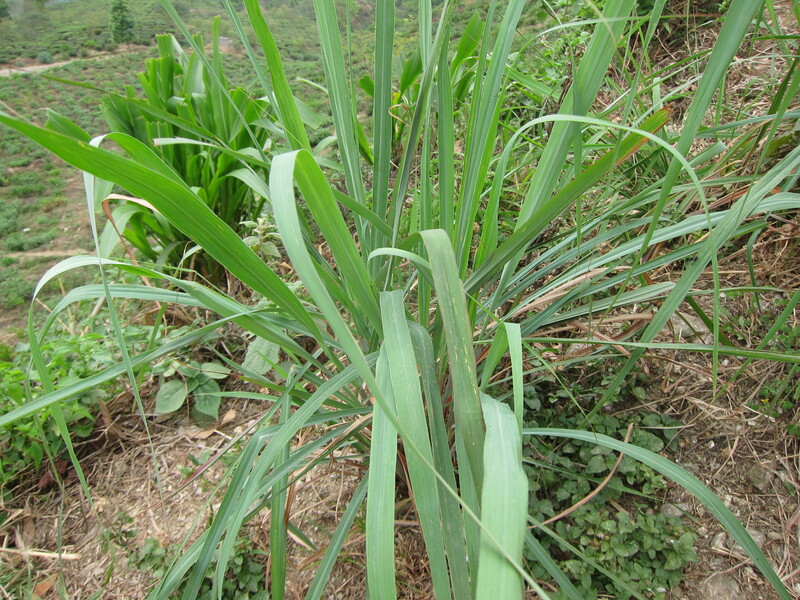 He said that Makaibari grew both varieties of tea, v. sinensis and v. assamica, as well as a hybrid of the two. Pranay pointed out other plants that were interspersed with the tea, and explained the role of these plants in Makaibari’s ecosystem. 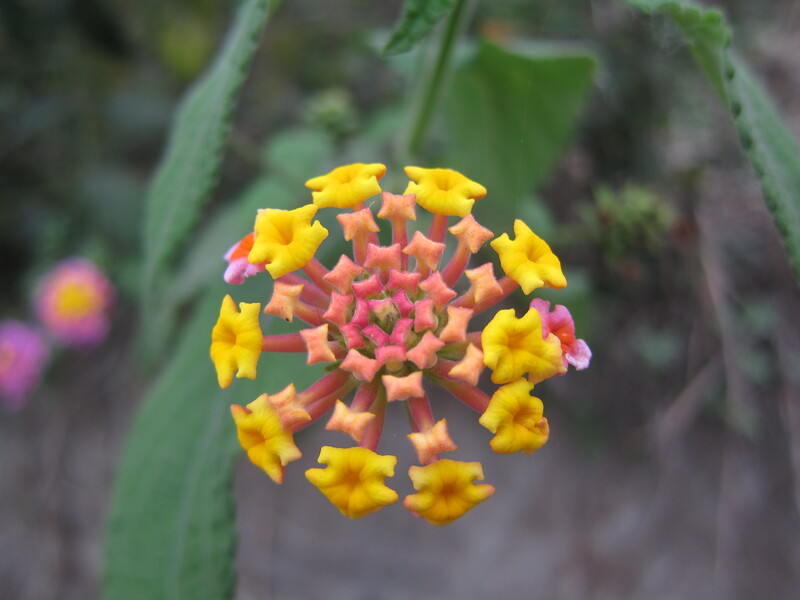 For example, lemongrass and lantana help fertilize the soil, and the seeds of the kotoria plant release nitrogen into the soil. 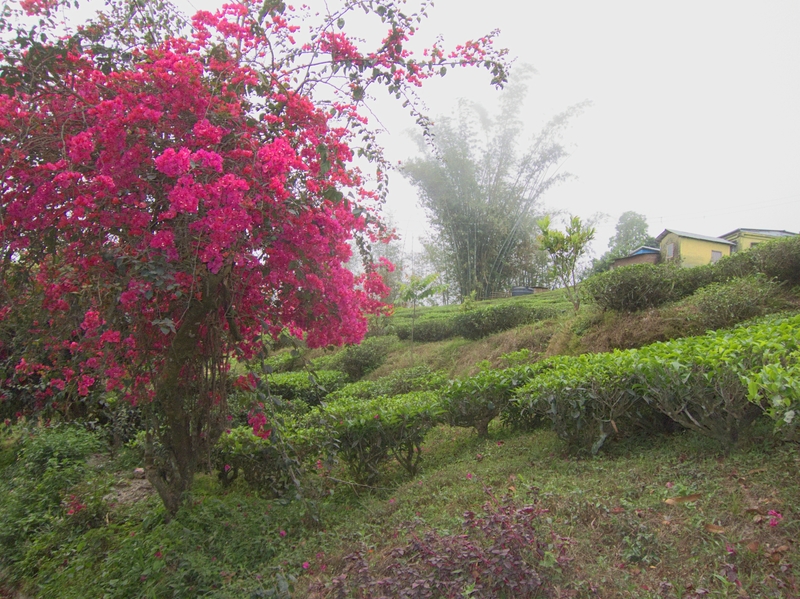 He noted that of Makaibari’s 650 acres, only 250 acres were under tea, with the rest of the land being permaculture. 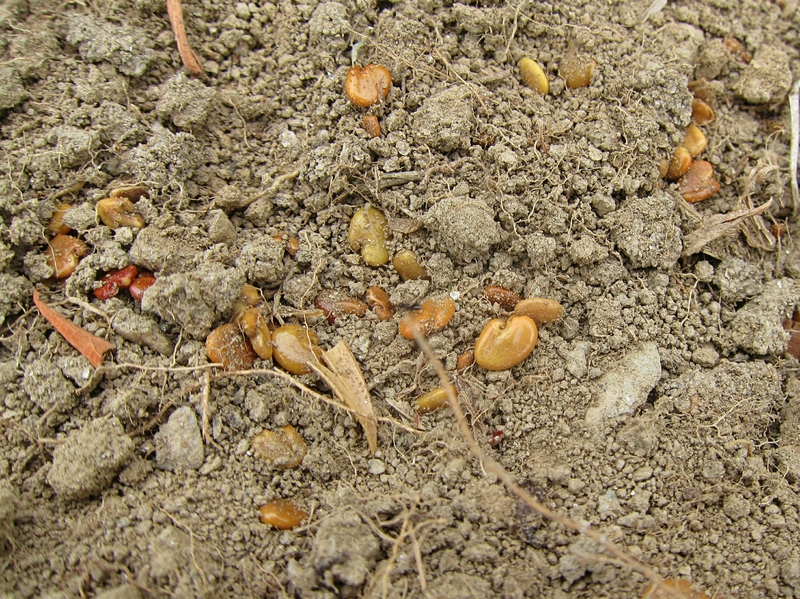 Kotoria seeds release nitrogen into the soil. Makaibari was a pioneer in converting to organic growing. 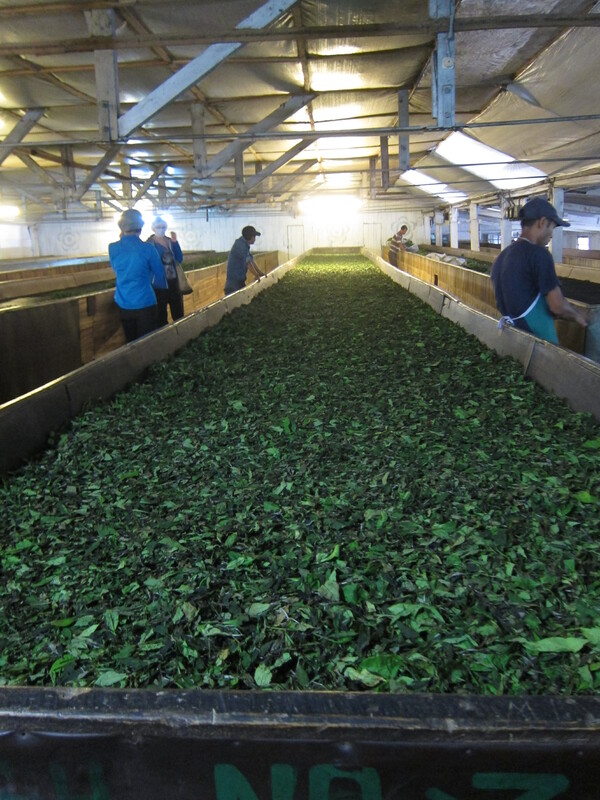 It also was the first tea garden to obtain biodynamic certification. As soon as we went out into the fields, I noticed a difference between the soil at Makaibari and that of conventional, monoculture tea plantations. On the other tea plantations the soil looked hard and dry. At Makaibari the soil around the tea bushes had thick undergrowth, like ground cover, and mulch. (Mulching prevents erosion, stifles weeds, and supports earthworms, which are good for the soil). There were lots of different bugs, too, another marker of a healthy ecosystem. 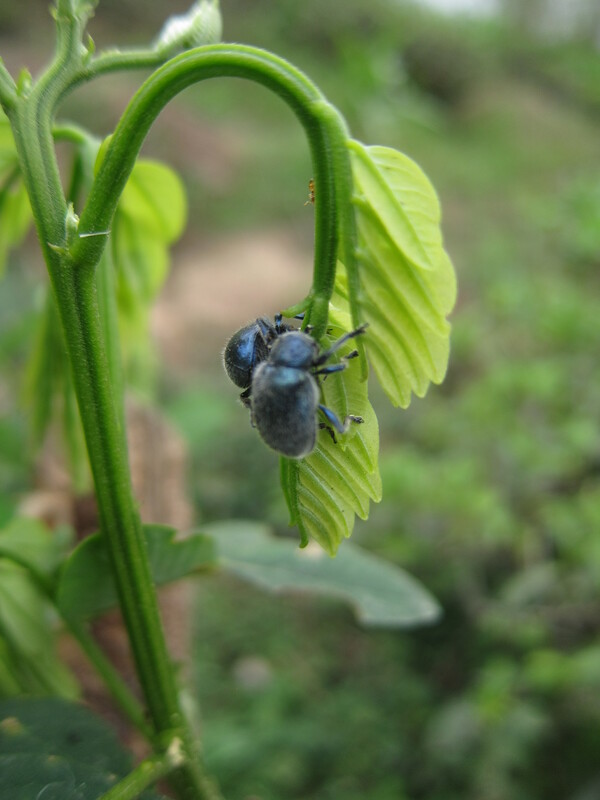 Historically many tea gardens have been reluctant to convert from conventional to organic farming, because of the time it takes to convert (at least three years) and the significant drop in yield. But over the years the conventional Darjeeling gardens have seen yields drop due to unhealthy soil, a result of overuse of fertilizers and pesticides. Landslides due to erosion have also become a notoriously ugly and dangerous problem in Darjeeling. Tea pluckers at Makaibari Tea Estate. But in addition to the stick, there is the carrot: Makaibari’s sales records have proven the value of organic product. 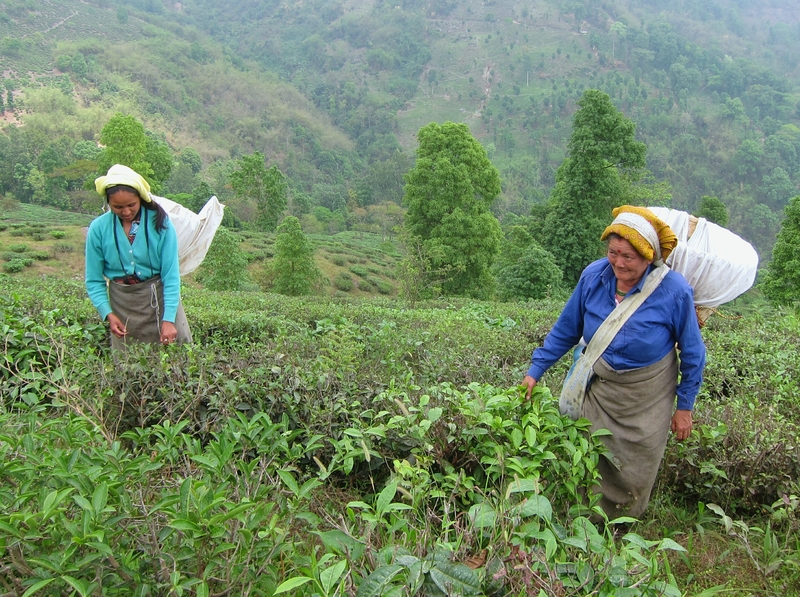 The example of Makaibari’s success and the glaring evidence of unsustainable growing practices have prompted over two-thirds of Darjeeling’s tea gardens to convert to organic. As tea drinkers, we should be asking ourselves, “How green is our tea?” The good news is that Darjeeling’s tea is becoming more “green,” which is good for the land, the tea workers…and for tea drinkers like you and me. 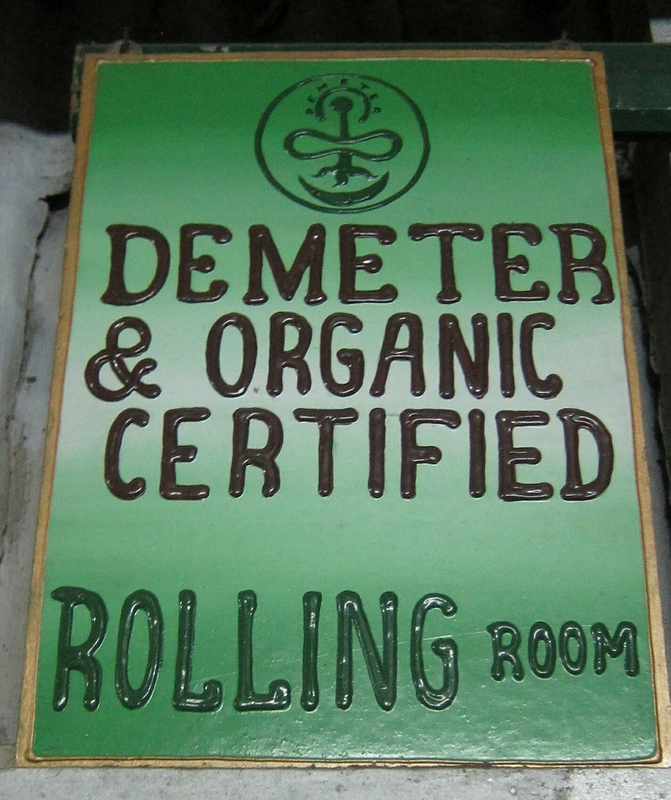 Germans are among the biggest buyers of organic Darjeeling tea. I had no idea there were two species of tea. I thought it was all c. sinensis. Thanks for the comment, Jyotsna! There is one species with two varieties used to make tea, Camellia sinenis var. sinensis and Camellia sinenis var. assamica. Another great post, Sharad! It’s wonderful that you stayed with the family of the tea workers and got a chance to be a part of their daily life. Thanks, Mythri. It was a nice experience.